Tapestry Guestroom, located on the upper level, is situated on the northwest corner and receives afternoon sun. 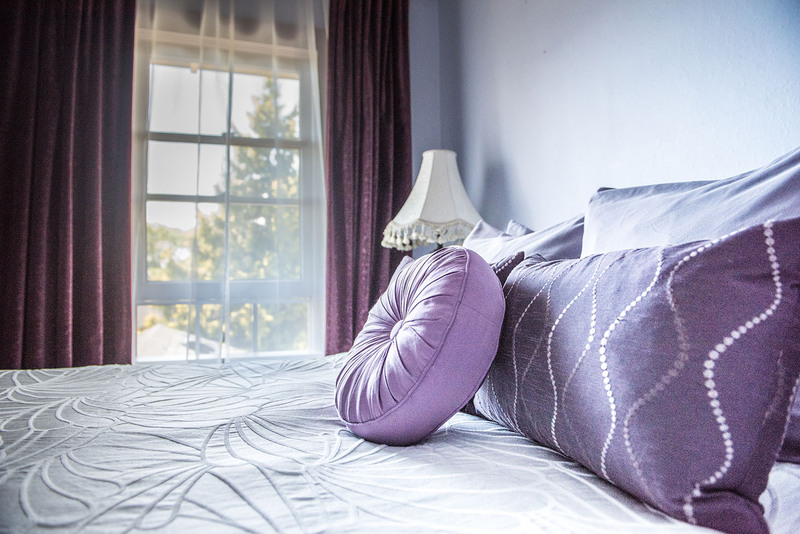 This guestroom is equipped with a queen size bed and an ensuite with a claw footed soaker tub/shower, sink and toilet. Tapestry is located on the upper floor of the building. 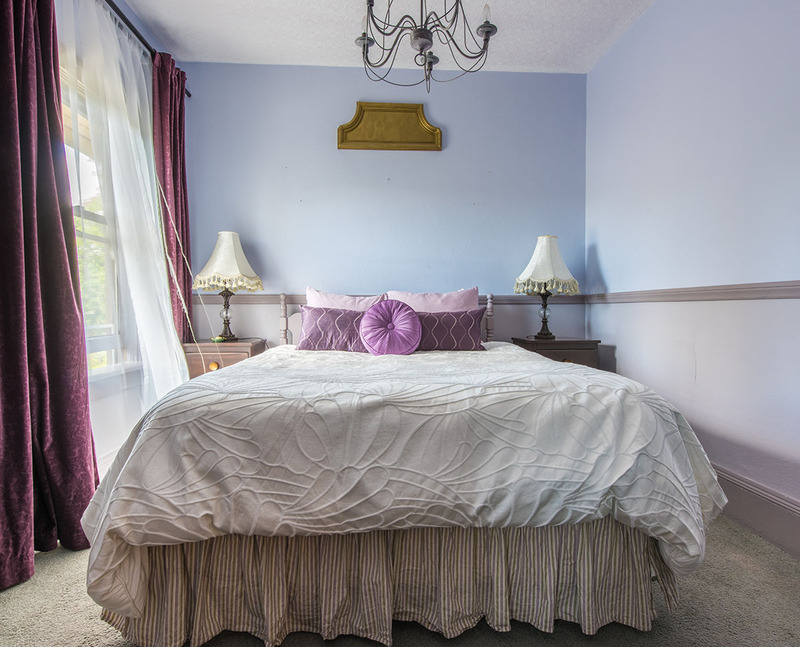 This guestroom has been decorated in various hues of mauve and bronze.